After the publication of the results of the constitutional referendum, different politicians react about these results, highly appreciated by some and heavily criticized by others. People are voting the constitutional referendum in Ngozi province on May 17, 2018. CNDD-FDD party acknowledges the result of the constitutional referendum. Evariste Ndayishimiye, the Secretary General of this party says the referendum allowed Burundians to freely choose what they wanted. “That polling has shown that Burundi is a democratic country”. Ndayishimiye says both those who voted against and for the referendum had had time to campaign. He acknowledges the victory and calls on those who have voted against the referendum to accept the result. “The victory is shared with those who were against. The new constitution, once adopted will be applied to all Burundians”. Georges Nikiza, Spokesperson for the RANAC party says the referendum process was full of irregularities either during the campaign or during the polling. “Members of political parties campaigning against the referendum were mistreated, others arrested. During elections, some observers from the opposition parties were forced out when they were counting,” he says. Nikiza party says there was an absence of national and international observers. He fears that those irregularities will occur in the upcoming elections. “The referendum was not free, fair and transparent. The same irregularities may characterize the next elections”. FRODEBU party also says the constitutional referendum process was full of irregularities since the campaign period. “There was verbal and physical violence since the beginning of the campaign, the government should therefore reject the results,” reads a declaration made public on May 21. 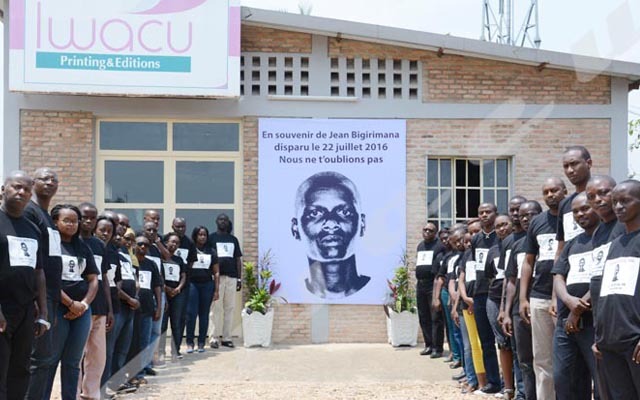 The Ombudsman institution acknowledges the result of the referendum and calls on politicians in exile and other refugees to come back to Burundi and prepare the upcoming elections, too.